Today’s lesson is devoted to a funny character from the popular full-length animated film “Despicable Me.” These little yellow creation constitute the army of the protagonist of the story, they make funny noises like children’s hooting, always fussing and have quite a roguish character. So, today we will draw a minion. Actually, it is very easy to draw them (no more difficult than, for example, to draw a rabbit or draw Wolverine for kids). 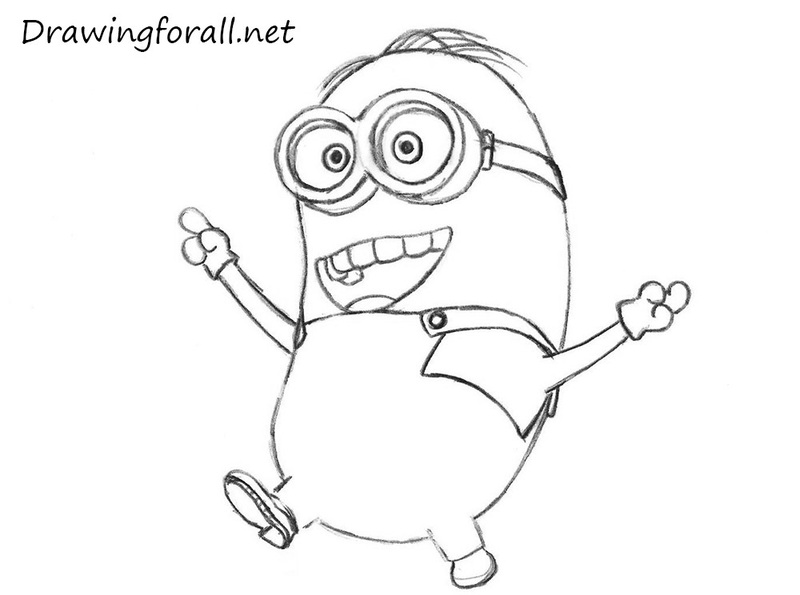 We have divided this tutorial into several steps, in order to any artist could draw a minion without difficulty. 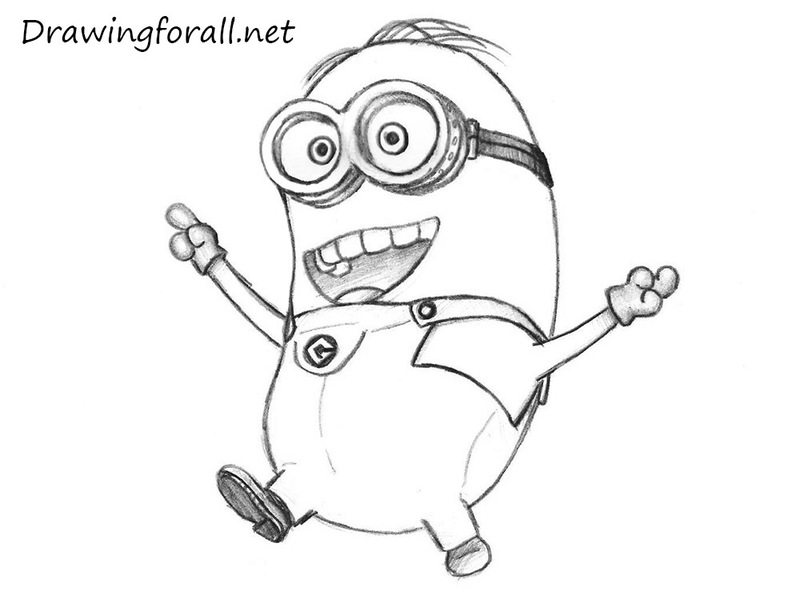 Let’s start the tutorial and learn how to draw a minion from Despicable Me. 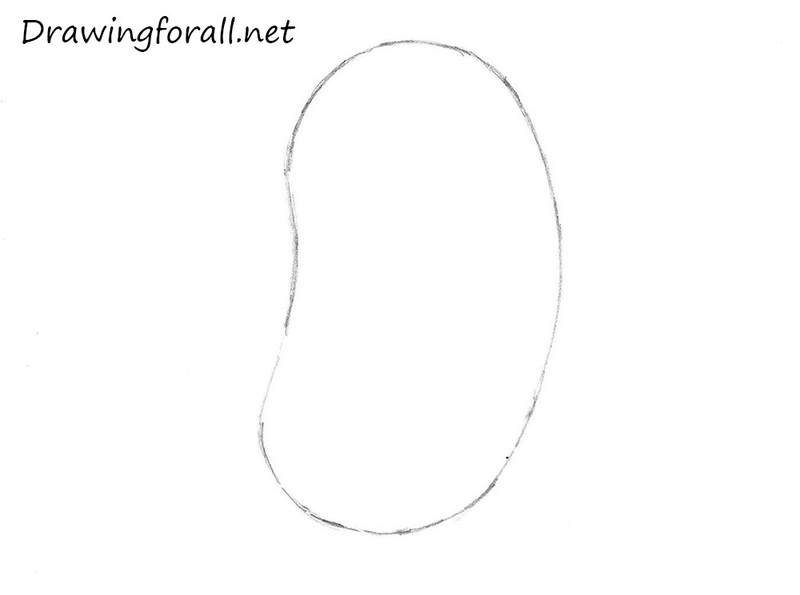 So, first take a pencil and draw a curved oval, which should be very similar to a bean. Note, that in the first steps you should not press down too hard on a pencil. At this step of tutorial about how to draw a minion, we will draw lines of symmetry. 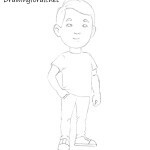 First draw a vertical line, which is passing through the whole body. This line will help us to find a center of the body. 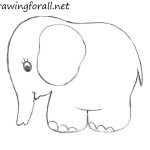 Then draw a horizontal line, which will help us to draw eyes. Below the line of the eyes draw a line of a mouth. Sketch out the limbs of the minion. Note, that the legs should be much smaller than hands. At this step, we start to draw details. Using the horizontal line from the previous step, we draw glasses. It is very important to convey the three-dimensional shape of the glasses, as we did in our example. 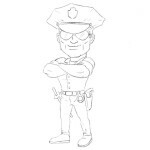 Then, using curved lines draw a strap of glasses. Using curved lines draw the mouth. Draw lines of the dungarees and straps. Sketch out gloves and shoes. 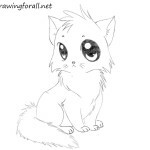 Using smooth and curved lines draw hair. Draw pupils – first draw two circles in the glasses, and then draw two black dots inside the circles. Using rounded squares draw teeth. 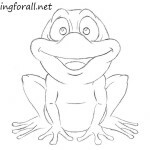 Using a curved line draw a tongue. 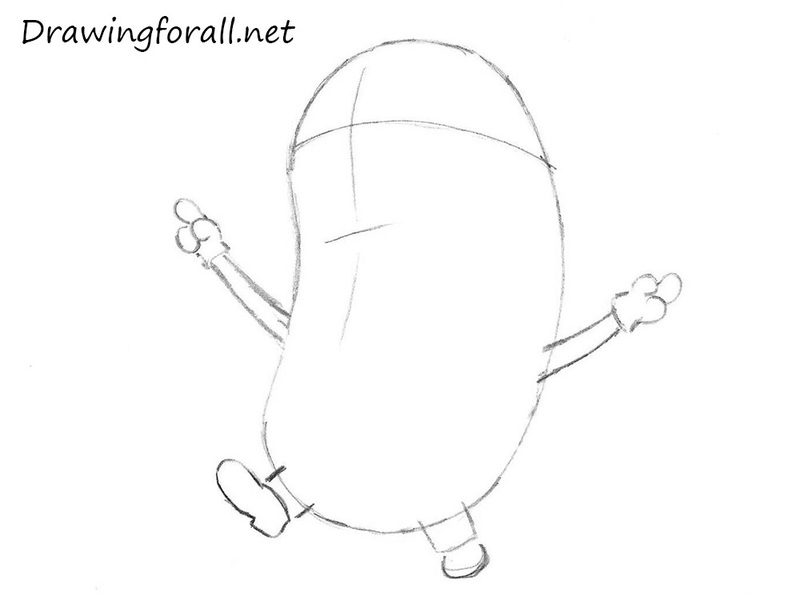 And at the ending of the tutorial, about how to draw a minion, we will add shadows. 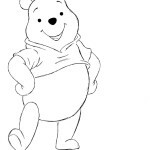 But first draw the seams on the clothing and the letter “G” on the chest of the minion. Thien, using hatching add shadows to the glasses, mouth, gloves and shoes. 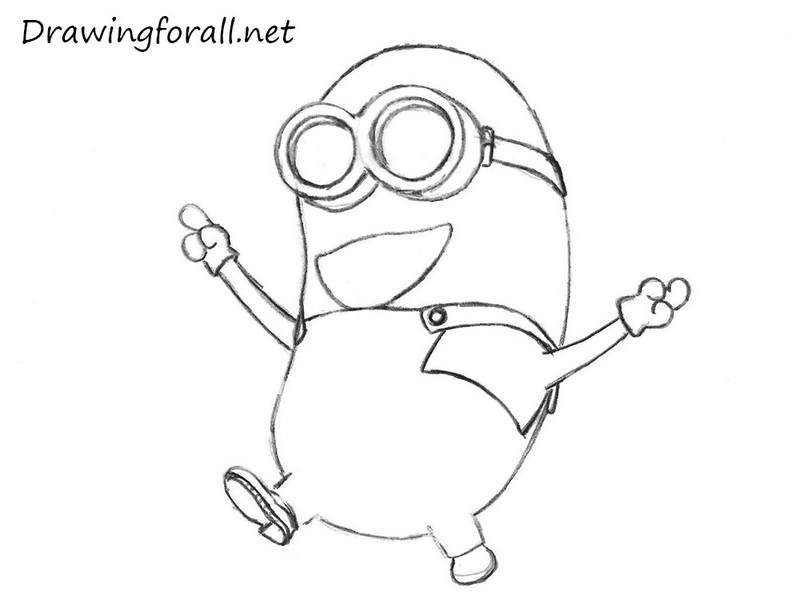 It was drawing tutorial about how to draw a minion step by step. If you enjoyed this drawing lesson, share it with your friends and subscribe to us on social networks. Stay tuned and goodbye!